Niall de Buitléar’s accomplished sculptures and drawings present elegant, geometric, architectonic forms. 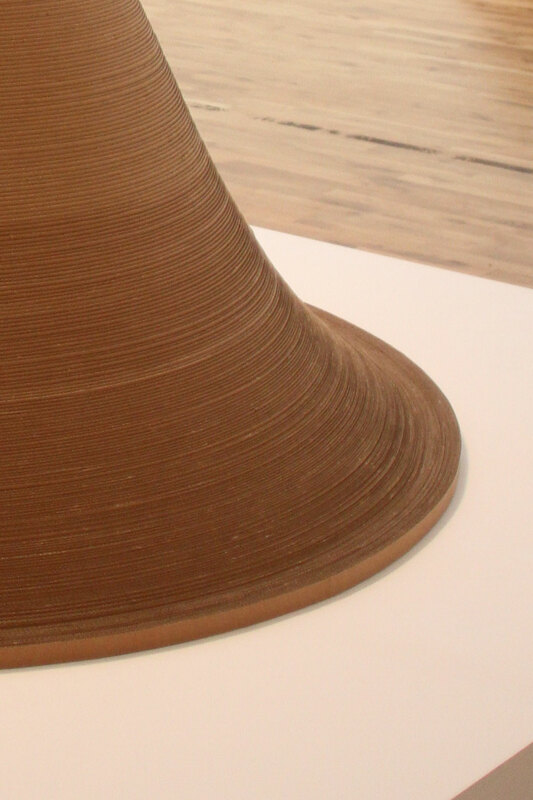 They are composed of functional, usually humble materials – corrugated cardboard figures prominently at the RHA – and built up in a slow, methodical, even obsessive way. And they are algorithmic, with simple procedural rules producing big complex pieces. Their forms, materials and methodology refer us to mass production and consumption, and to the patterns underlying organic processes and industrial fabrication.